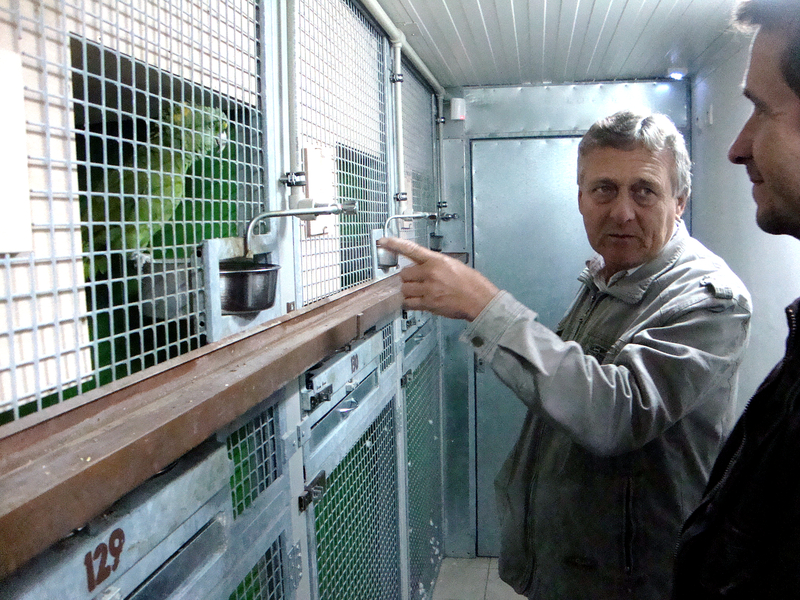 He owns the biggest collection of Amazona parrots not only in the Czech Republic but even in the whole Europe. 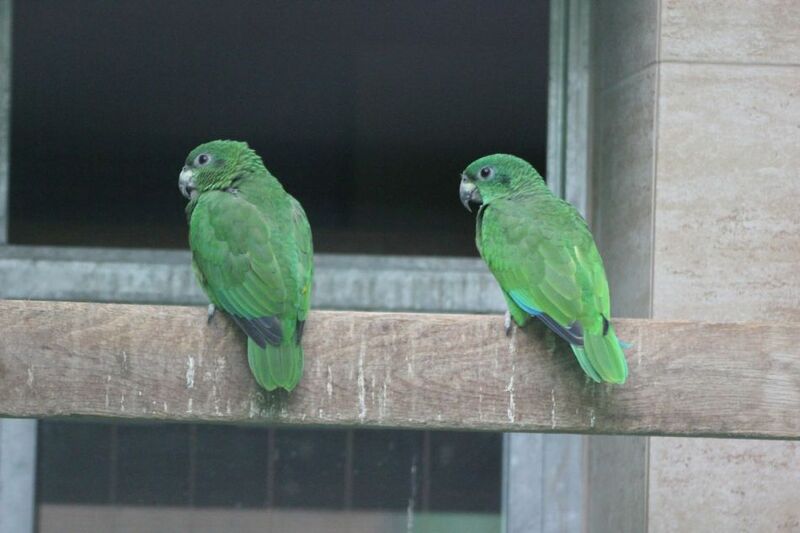 Only 3 species are missing so the list is complete – Imperial Amazon (Amazona imperialis), Puerto Rican Amazon (Amazona vittata) and „recently“ described Kawall’s Amazon (Amazona kawalli). 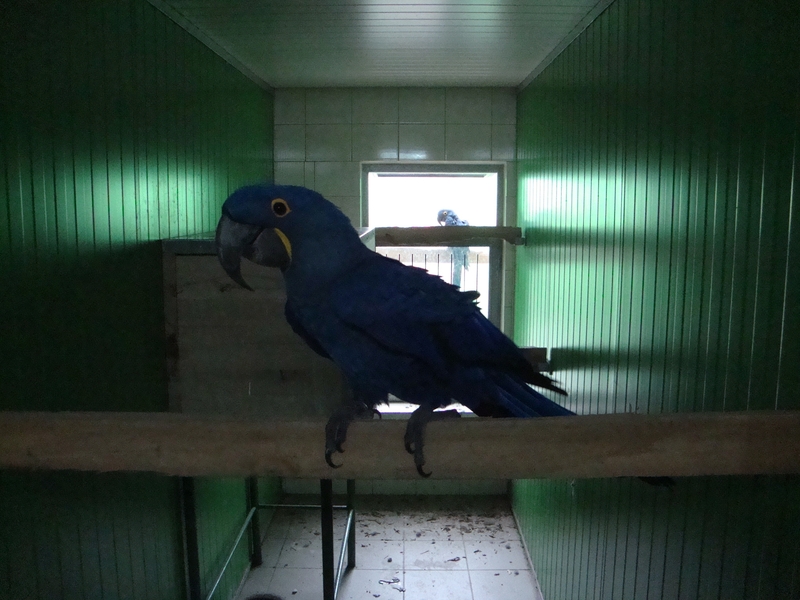 In his TOP CLASS facility in Kobeřice near to Prostějov you will find also almost complete collection of macaws. 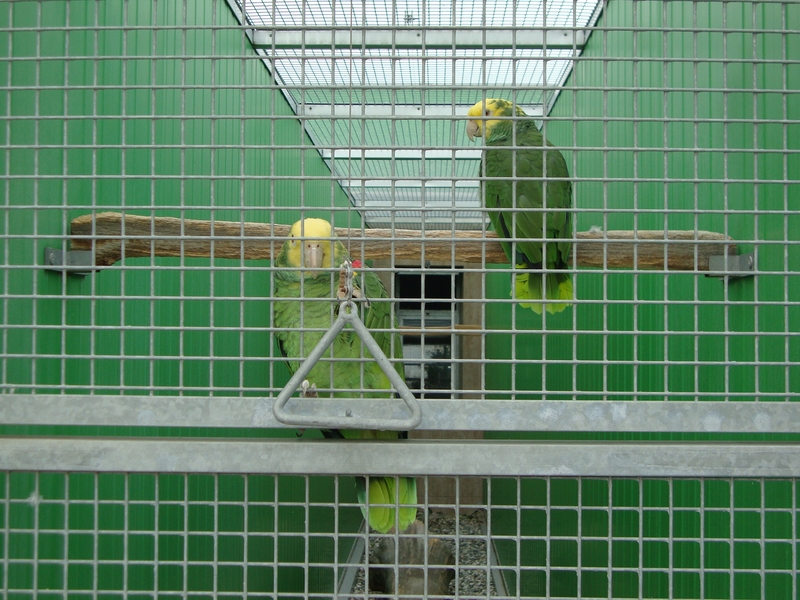 It conteins about 144 aviaries with more than 300 parrots. 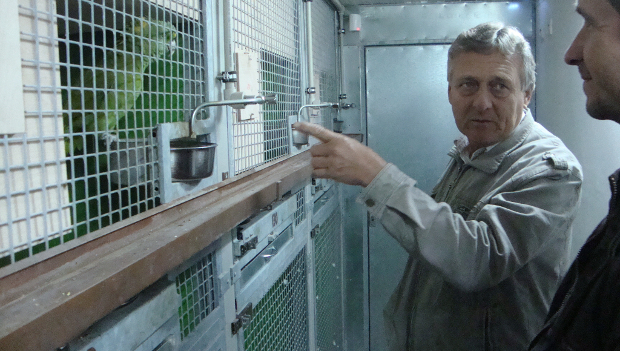 With Jan Nedelnik we have talked mostly about breeding his birds but about law and legislation related to this hobby as well. Why are you specialized mostly in amazons? How did they get your heart? It’s hard to say. I have always been in love with this group of parrots. 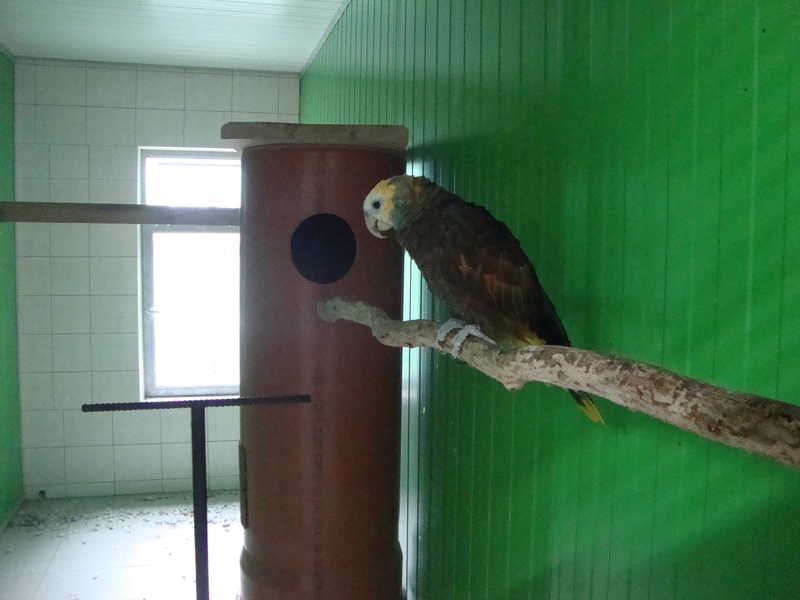 They are middle-sized birds, very intelligent and attractive. 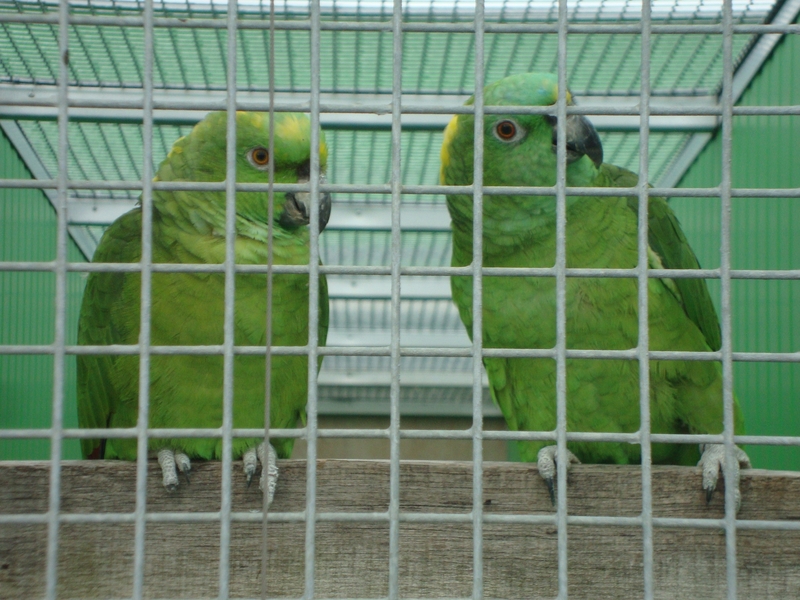 Of course, you need to consider them as parrot breeders and not as a trader. Many species are not easily bred and that’s what attracts me. Then you can get some rare experience which can be shared with other parrot breeders. What was the first amazon you started with? 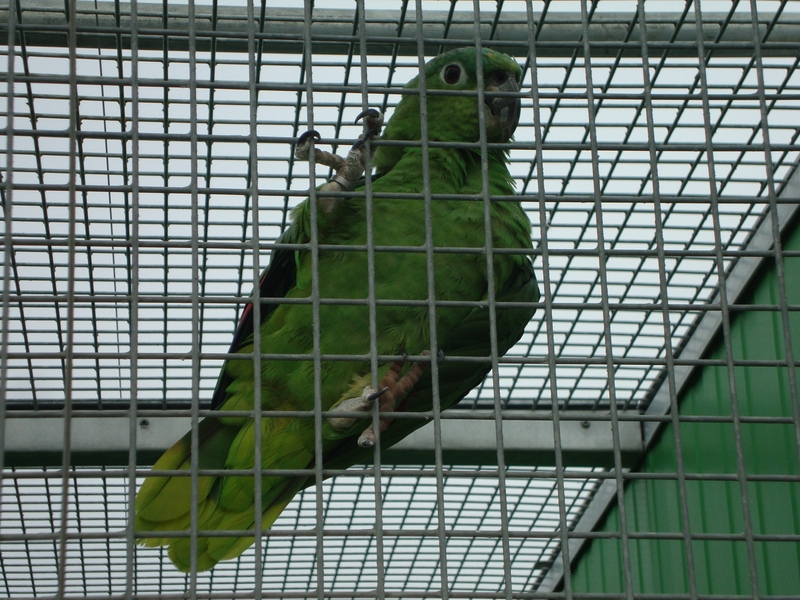 My absolutely first amazon was the Cuban Amazon (Amazona leucocephala). 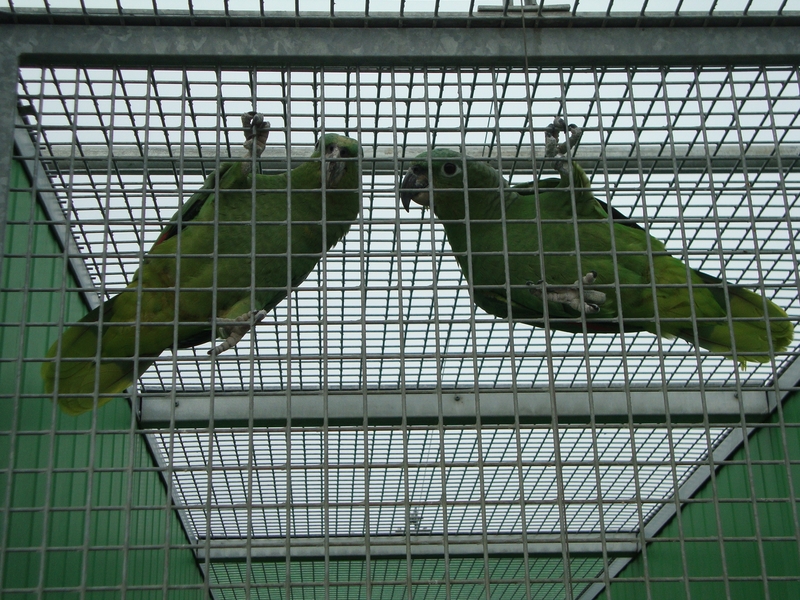 If I remember well these birds were that time brought to the Czechoslovakia by import company Zverimex. It was in 60’s and they were sold for 2 000 CZK (=75 euro) each. Zverimex imported them legally but our authorities declared them as illegal. 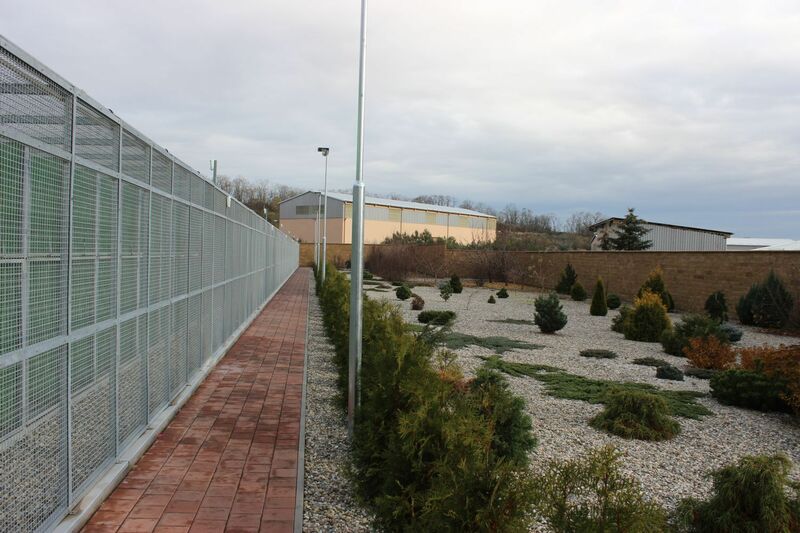 Today you have 144 aviaries with outside flights more than 8 metres long and 1-2 metres wide. I guess that your first facility had to be more modest. You are right. 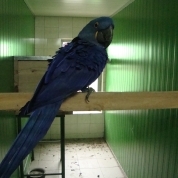 I started breeding of parrots as most of other parrot breeders since I was 6 years old. 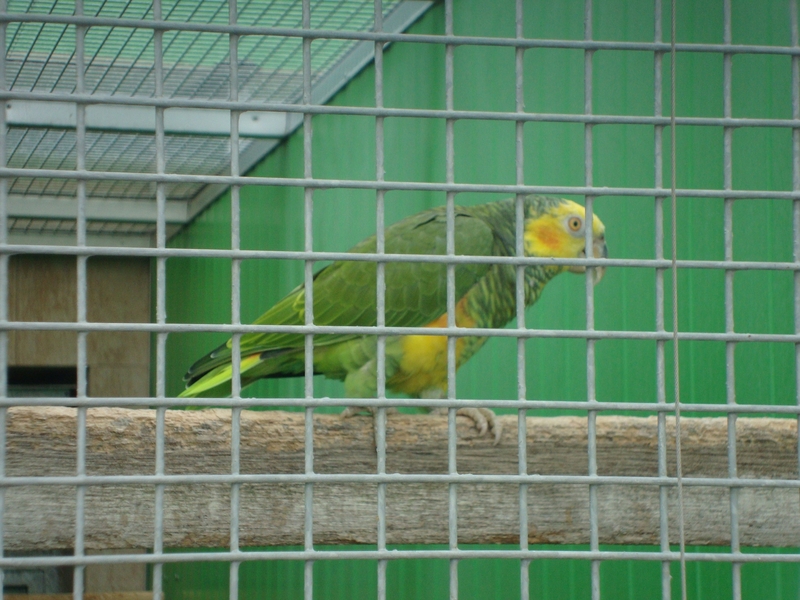 My first birds were budgies, cockatiels, rosellas and I had only few aviaries. By the time my facility has been growing. 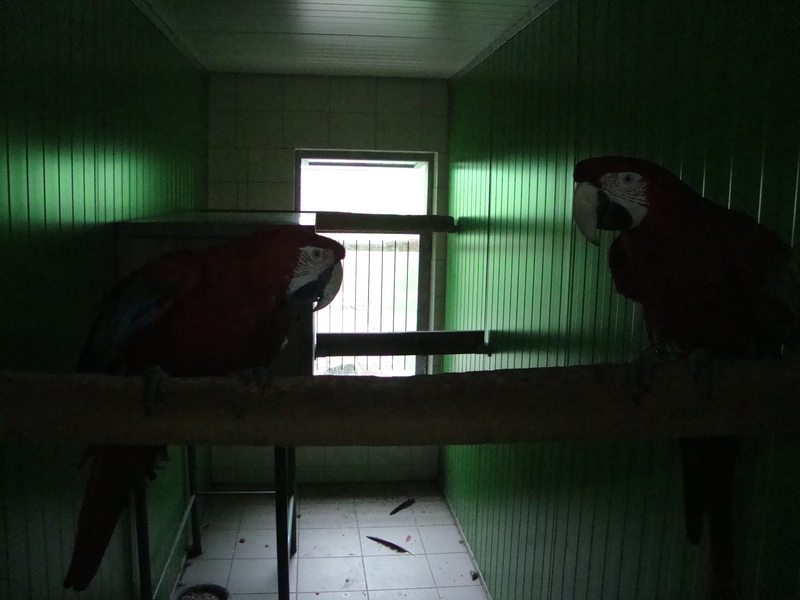 Now you have a parrot farm. When was the turn? There was no turn, the change has happened gradually. But now you live at different place. 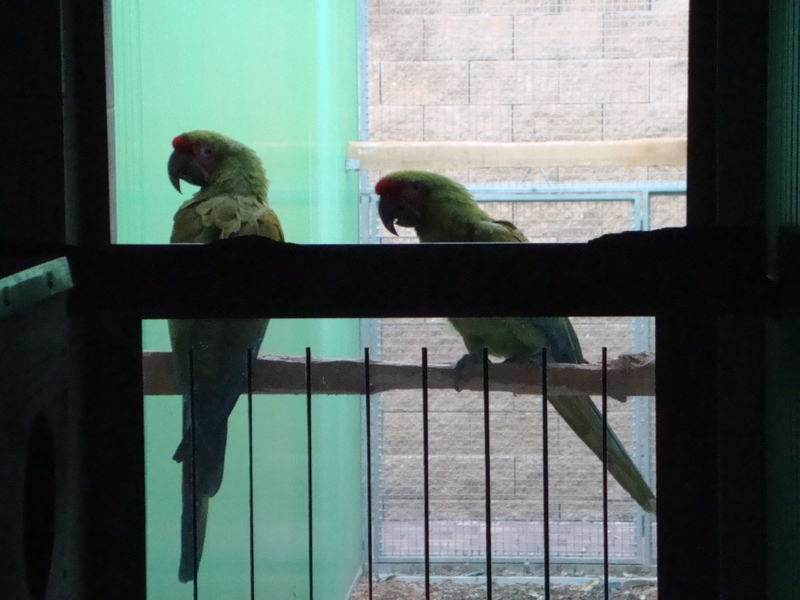 Yes, earlier I was living in a near village where I had only 65 outside and 50 inside aviaries. To new house I moved 6 years ago and I built here bigger and better facility. Yes. I had an opportunity to get an empty cow house so I used that building. 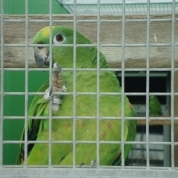 Apart from amazons you have been breeding other parrot species as well. How do you choose species you are going to breed? According to their rarity, difficulty to breed, price, ..? 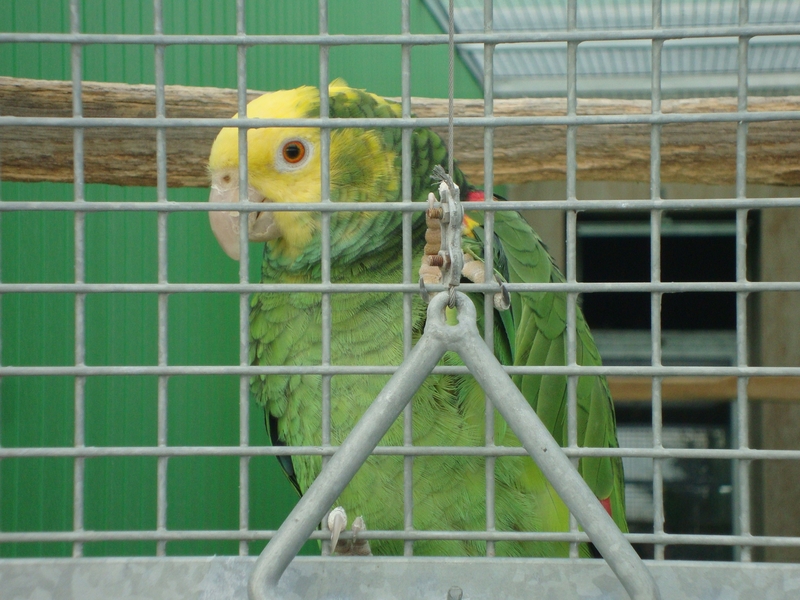 I like breeding parrots which are difficult to breed. 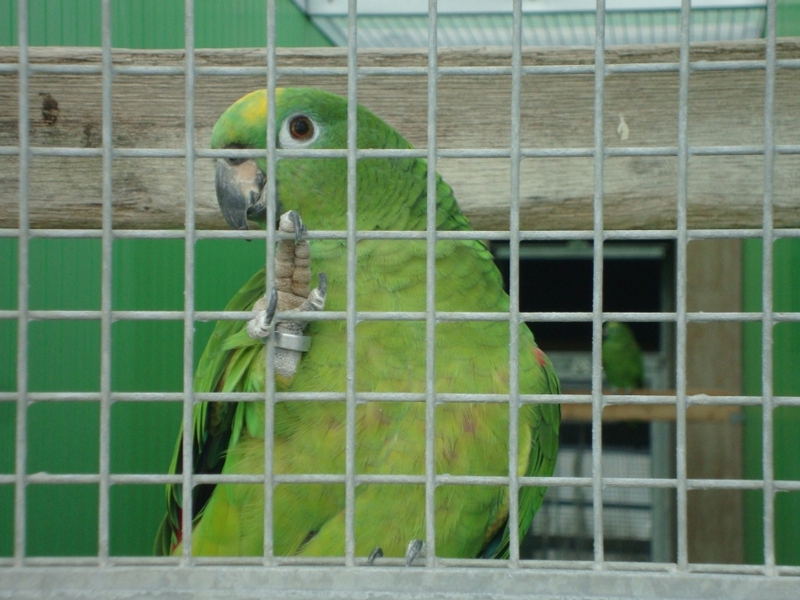 In the past (during communism) only few parrot breeders had any amazons. 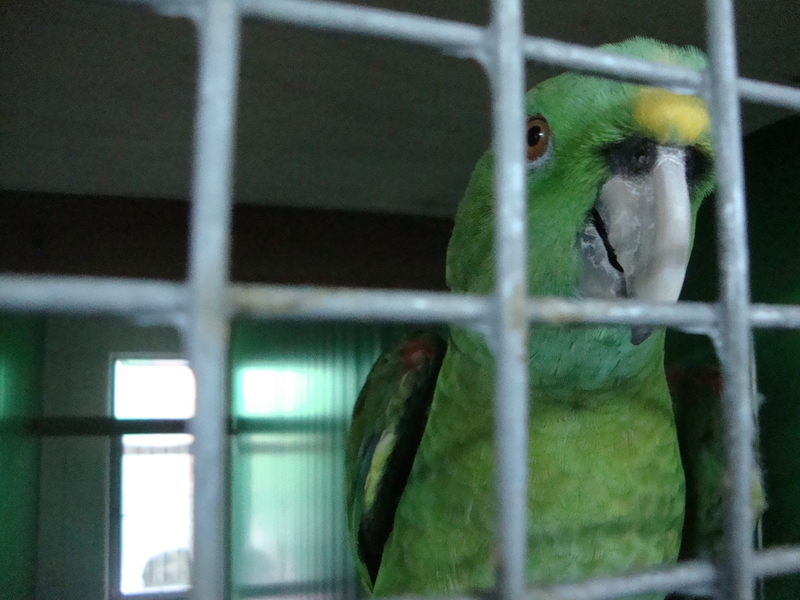 Officially were imported Blue-fronted Amazons (Amazona aestiva), Orange-winged Amazons (Amazona amazonica) and Yellow-crowned Amazons (Amazona ochrocephala). These were available. Later, when I achieved some successful breedings there was an opportunity to get more species. 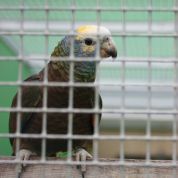 You have several caribbean amazon species which are very rare in Europe. I can mention for example St. Vincent Amazons (Amazona guildingi) and St Lucia Amazons (Amazona versicolor). Do they have any specific requirements for breeding compared to the others? I would say the are very different. They can be dominant and it’s hard to work with them. When the pair is eating, males have to be the first at the feeder and they eat the best food. Then the female is allowed to access to bowls. Consequently males get easily fat, females are skinny and their clutches can be small or infertile. Do they display any different behaviour patterns? All of them are wary. Maybe that’s because their very limited populations on caribbean islands are threatened by predators and people. When any bird of prey flies over my aviries, caribbean amazons react as the first ones. They always hardly tolerate any changes in their environment. 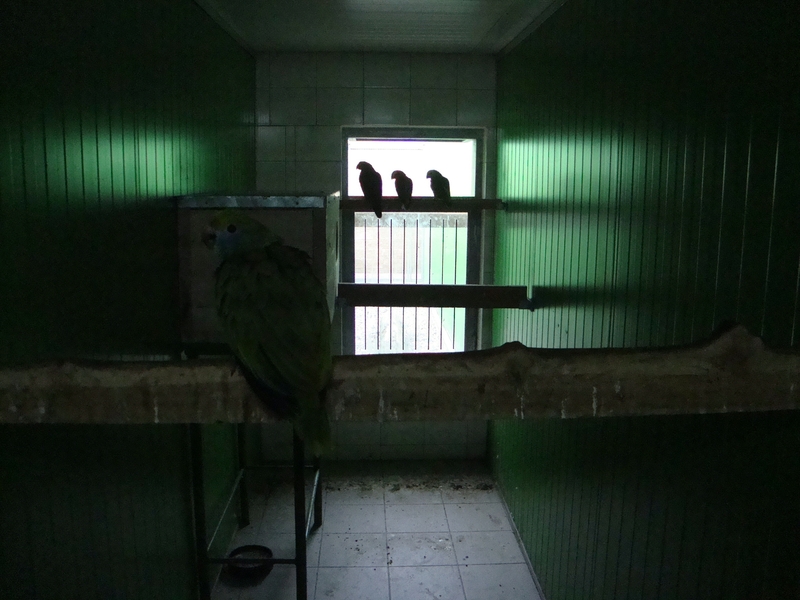 When I try to give them new kind of fruit or other foods it can happen that they will be sitting scary in the corner of the aviary for three days. So they get used to changes very slowly. So they behave like imported African Grey Parrots? 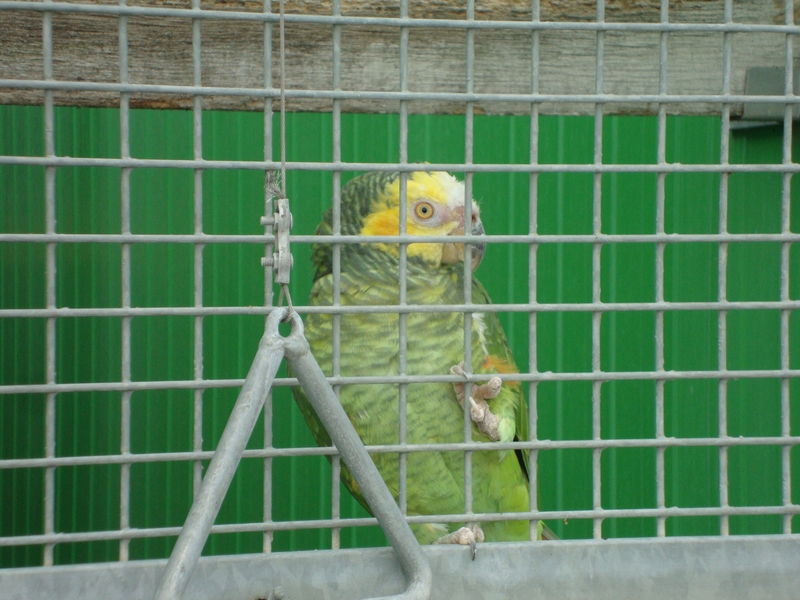 Yes, but my birds are bred in captivity and still keep their vigilance. 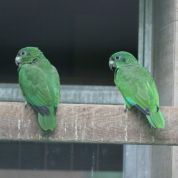 Caribbean amazons are rare in the wild as well. How do you see their future? You have already visited these islands so what’s your opinion? 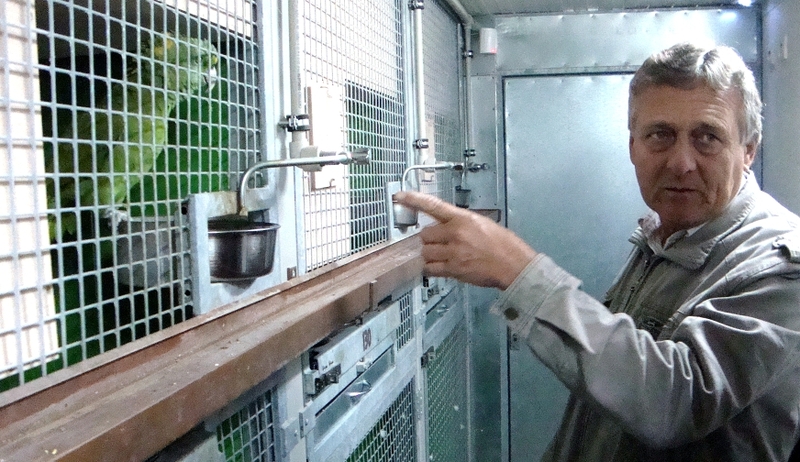 Because of some „ecological activists“ their chance to survive in the long term is problematic. It seems that local people understand their uniqueness nowadays but few years ago they were trapping them and eating them. What is more their biotopes are small and their size is still reducing. On St. Lucia people built highway across a forest where these birds are living! Finally, only small living space will remain for them. Somebody says there is only a small number of surviving amazons on this island. I would say there are more birds than local conditions can preserve. 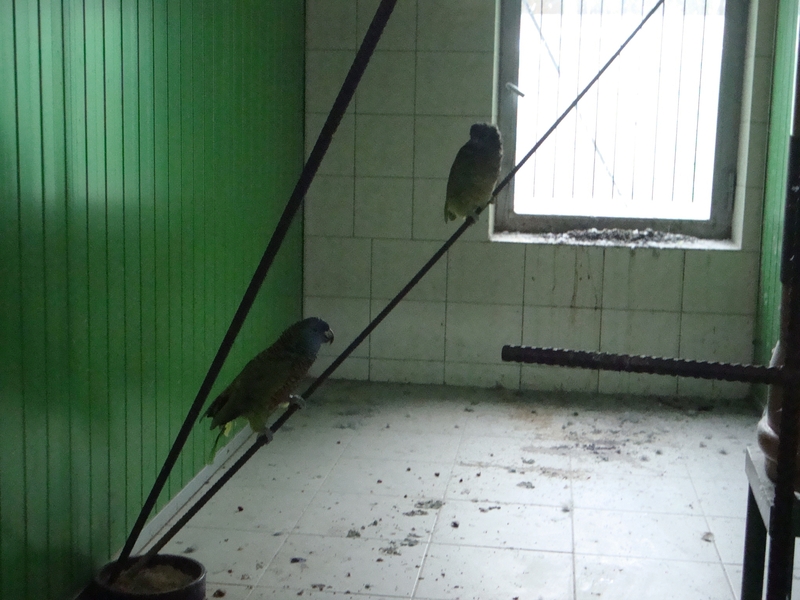 If authorities had allowed export of 10-20 birds per a year they wouldn’t miss there at all. Of course I assume no hurricanes which can totally decimate whole population. 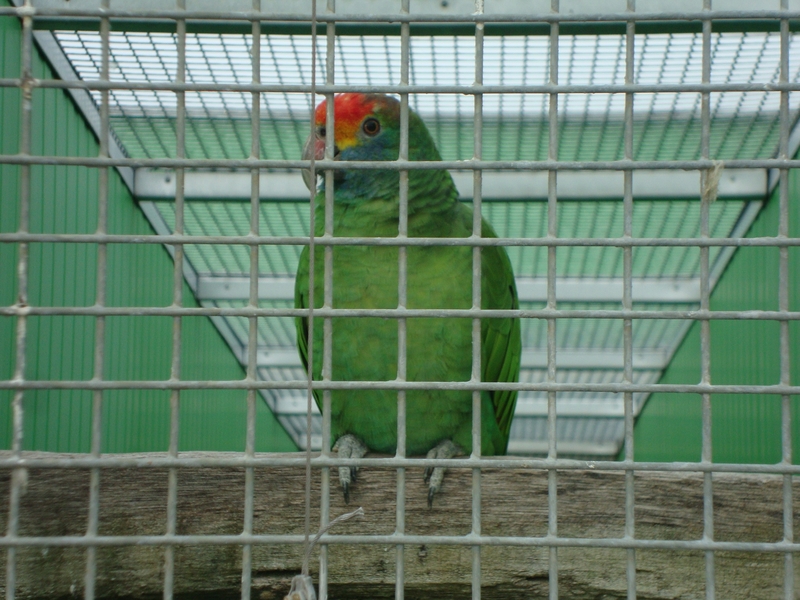 Birds bred in captivity can save the survival of the species for future. 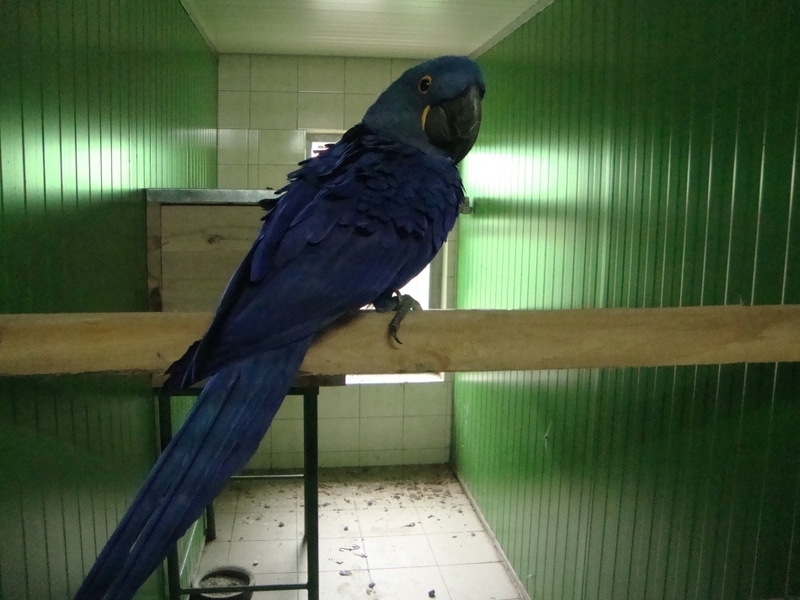 Look at Martinique Amazon (Amazona martinicana) or Guadeloupe Amazon (Amazona violacea). 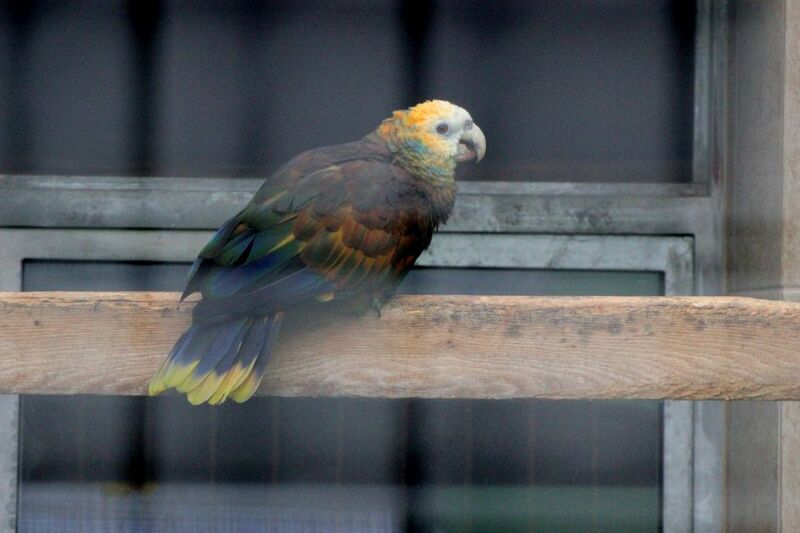 These birds are now extinct because the human completely destroyed their habitat and didn’t keep any in captivity. 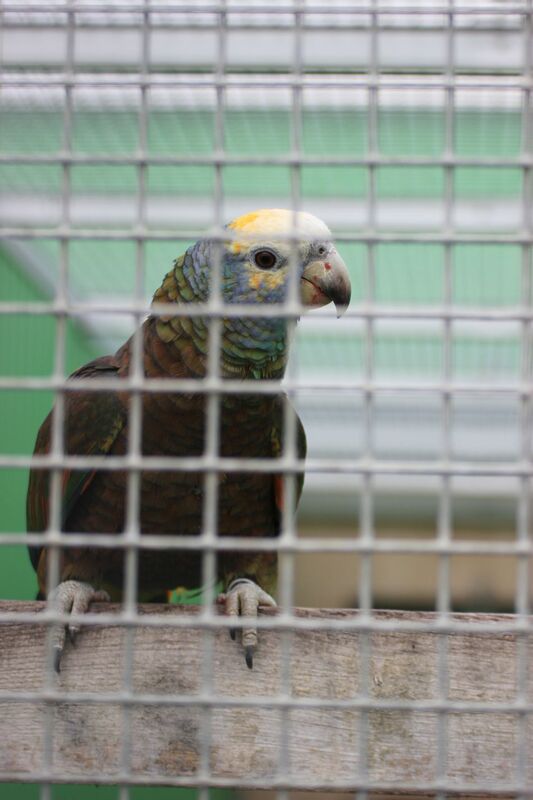 Is there any cooperation between you and other parrot breeders of these rare caribbean species? So you can get new bloodline for your breeding. Not at all. There are not many parrot breeders of birds like St. Lucia Amazon or St. Vincent Amazon. Was this breeding season successful? 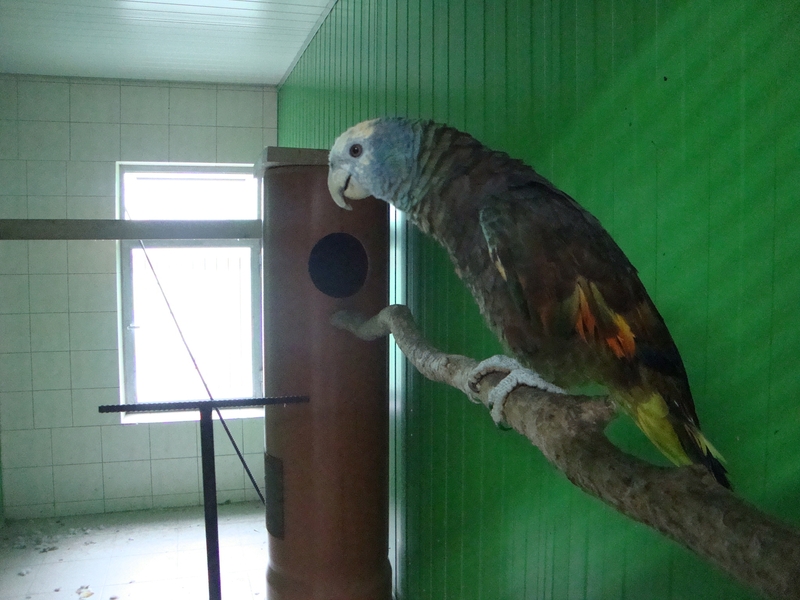 I heared you have bred Blue-cheeked Amazon (Amazona dufresniana). You are right. But unfortunately, I had 2 males. That is actually the worse alternative as there are less females. Otherwise we hadn’t many youngers this year. Maybe it’s good because generally the interest in amazons is in decline. Why? Is that because of the economical crisis? Who knows. 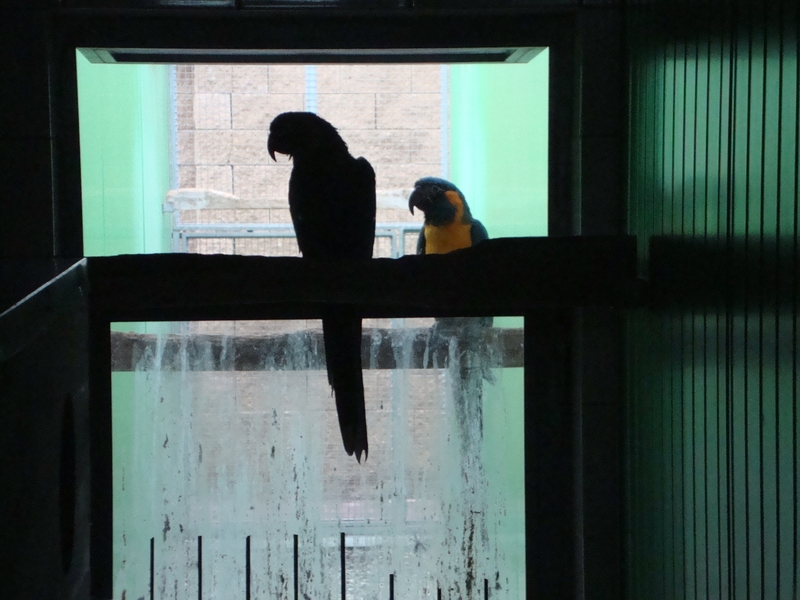 This year the demand for most of amazon species was minimal. 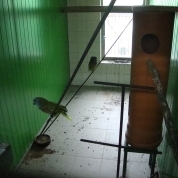 Older parrot breeders are dying and young ones are not comming. What is more, many species were bred in high numbers recently. 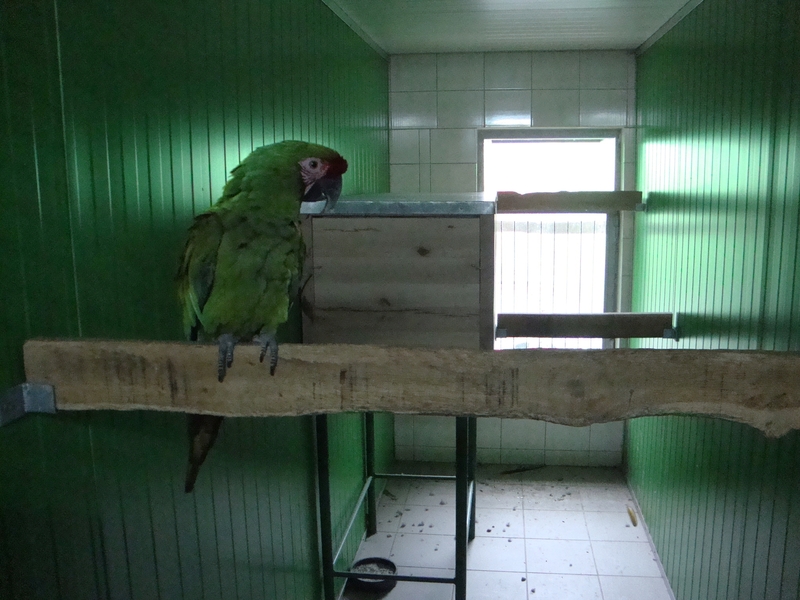 Imported birds suffered from high mortality and now individuals bred in captivity are strong and well adapted. Do you think that this trend is specific for our country or we can find it in whole Europe? We see it in whole Europe. I have to admitt I’m little bit surprised as with such rare species you have there has to be always some demand. For example from western countries. Why western? There are more interested buyers from the East. I have frequent visits from Russia or Bulgary. 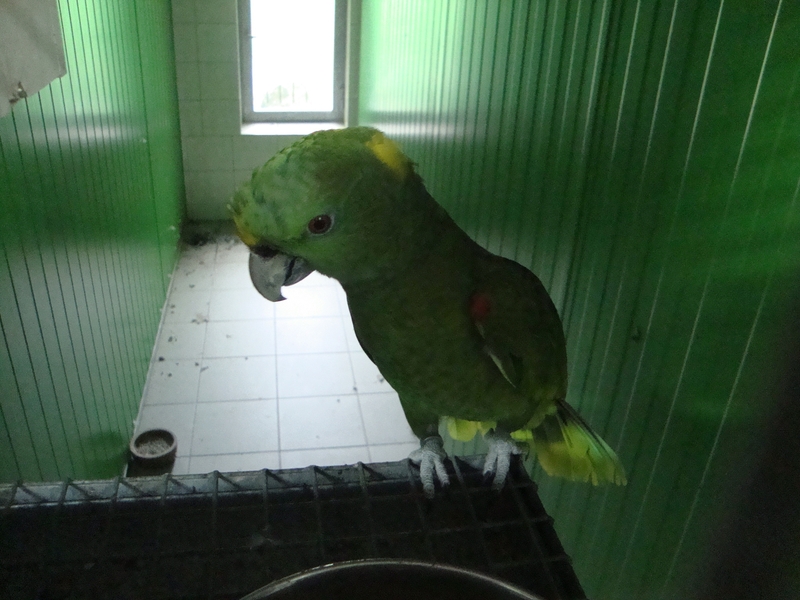 Isn’t the declining interest in breeding amazon species caused by strict law related to CITES which forces a breeder to registrate very common birds like Cuban Amazon? Maybe in part. Of course people don’t want to spend their time by visiting offices. I guess they will always prefer CITES II species as they have less troubles then. 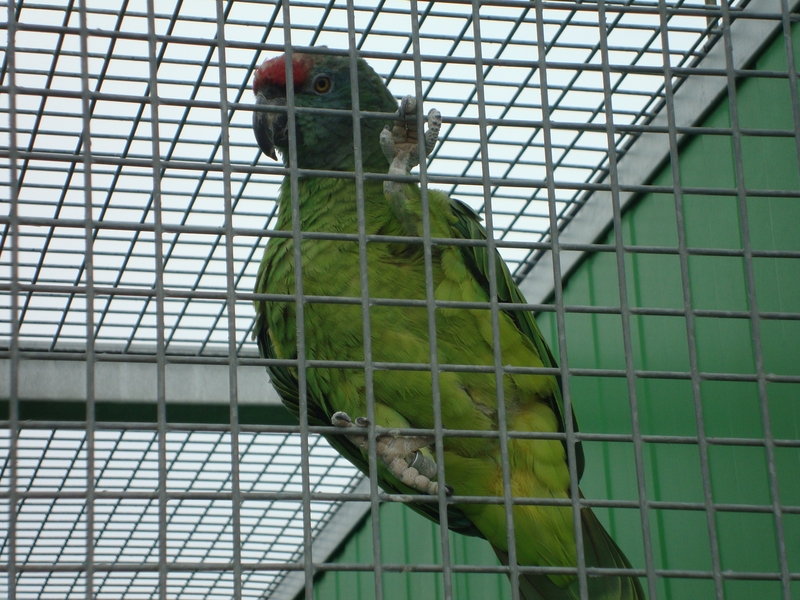 You don’t reduce breeding of CITES I parrot species? 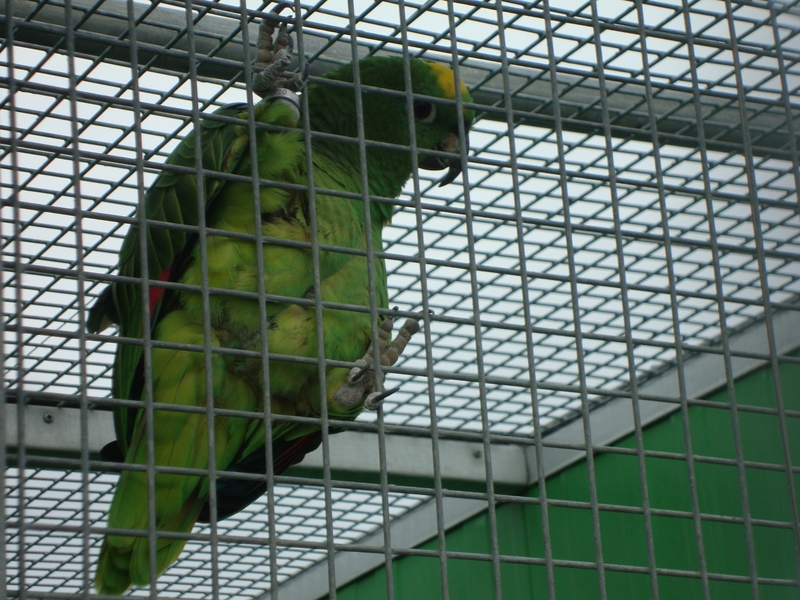 Many parrot breeders refuse these species as they are afraid of regular inspections from authorities. Do you have any experience with that? 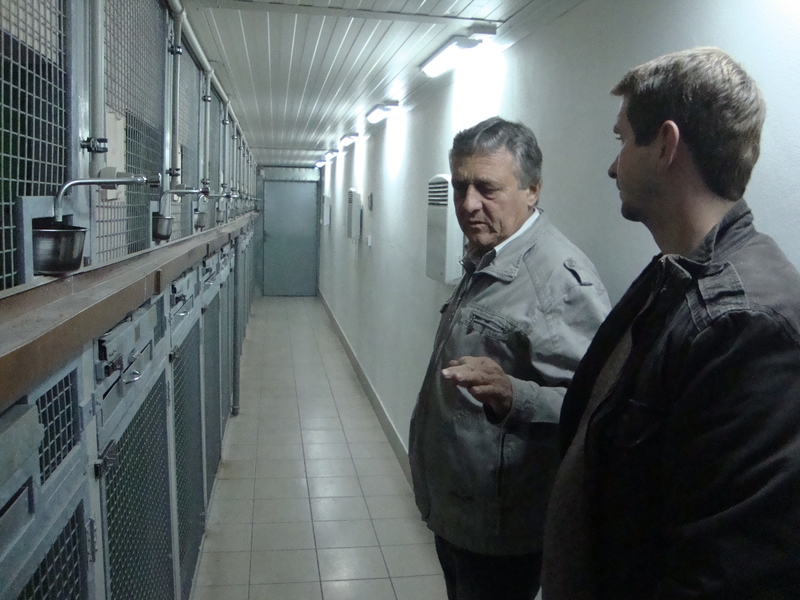 We hear frequently that these inspections can be very hard for breeders and birds as well. I didn’t have any inspeciton for a long time. But it’s only matter of time when they will come again. There is a difference in regular inspection and an attempt to criminalize somebody. 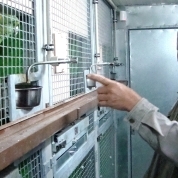 When sometimes authorities come to control birds and it’s not every year and they behave politely then it‘s their right. It’s worse when they come only because they want to fine you or want to confiscate some birds. Any personal experience about that? Of course. I had an inspection. When they didn’t find anything wrong they started checking all CITES papers. They were doing that for 3 hours! 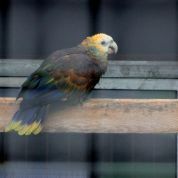 At that time I had Yellow Lored Amazons (Amazona xantholora) which were very rare those days, approximately 8 to 10 birds. They were registered, I had all papers at home but I forgot to sign them from the backside (by my signature!). I was told that it’s violation of law and I was fined. No, just about 2000 CZK (=75 euro) but they called me a criminal! So do you think that inspectors have to find some number of violation even if it’s nonsence and banality? I don’t know whether they have to but if they wouldn’t find anything then somebody could think that their job is useless. 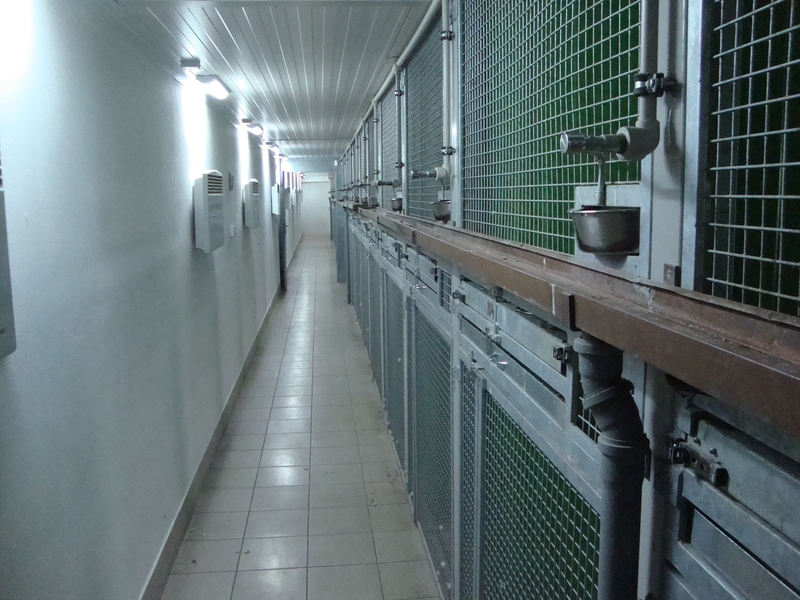 When we entry the outside part of the facility uncomfortable sound start whistling. 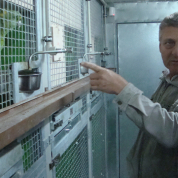 „It’s a new device against weasels with an electric eye which reacts on moves,“ explains Jan Nedelnik. He tries to chase these mammals off for a very long time and this way seems promising. 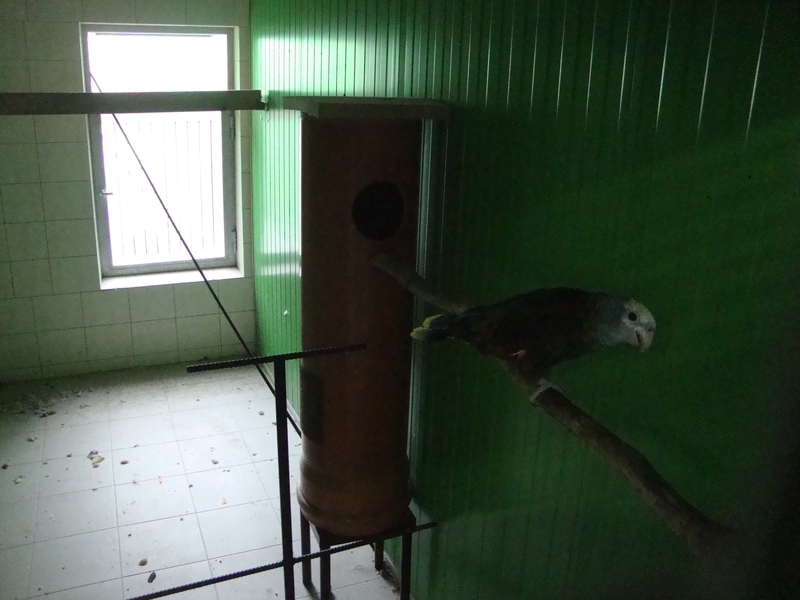 The worse predator is the Eagle Owl (Bubo bubo) which started visiting his facility recently and through the mesh has already hurt several rare birds including one Hyacinth Macaw. Well done. Some of my Australian friends have visited this breeder. They were very happy to see him and his and his amazing collection. Sad I was in Europe this year but I couldn’t visit. You are right, his collection is amazing. We were there with guys from Australia (Simon and others) this year in September. peanuts out of my hand. 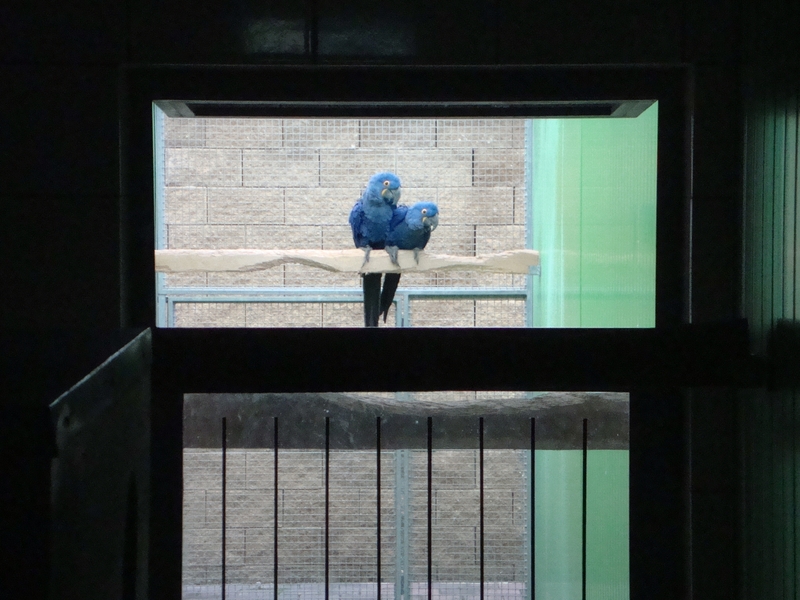 I am from Namibia and are very interested in Jan Nedelnik aviary designs.How can I get more info. Well done? 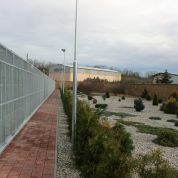 No enrichment, space hardly big enough to fly few meters. Not many places to hide, apart of the nests. No toys to keep the clever birds busy. No branches to chew on, not many possibilities to climb, very few feeding places. 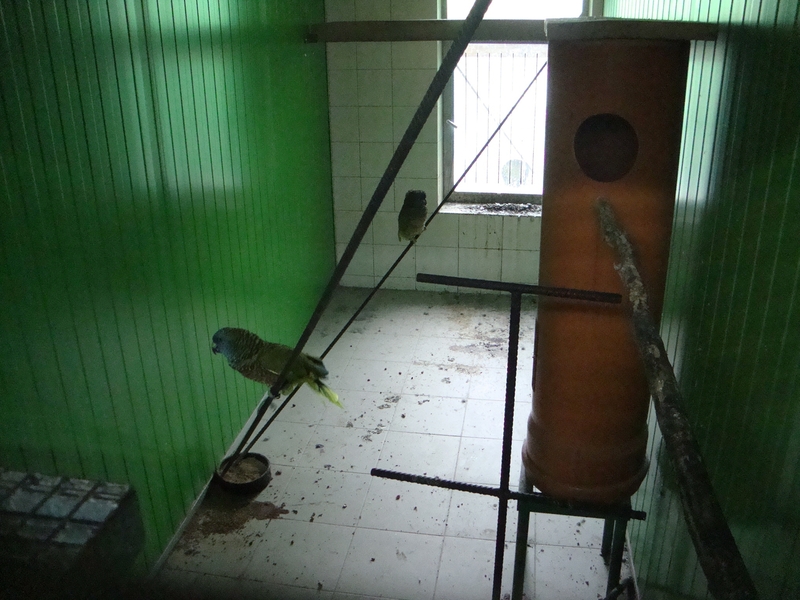 Not surprising that the stressed birds stay sitting in the corner for 3 days. Nothing to be proud of, from what I have seen on the pictures here. How about trying some of those? Helo Jan.. Im from Indonesia.. Can i Have your email or mobile to contact you. 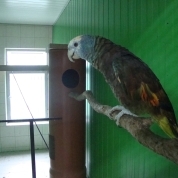 im looking birds for breeding and would like learn about breeding amazon parrot. Please contact me via whatup 62.87788011999.